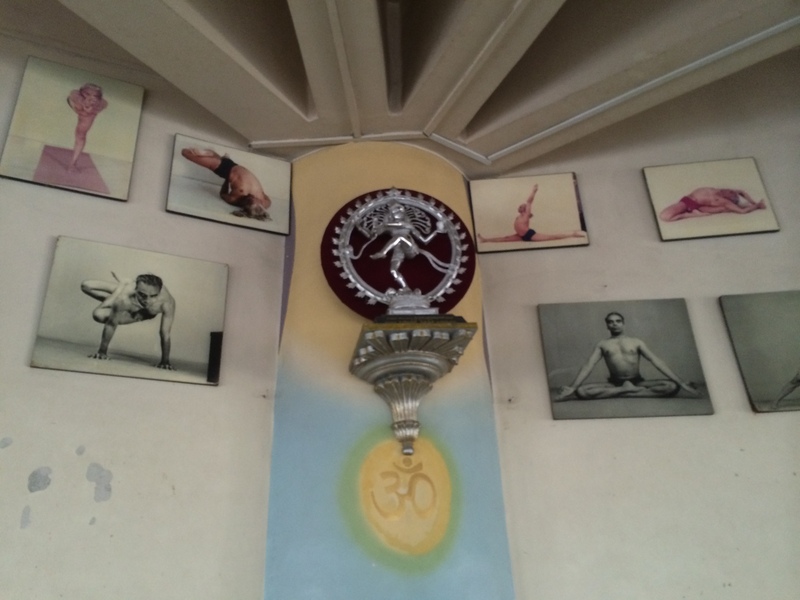 I had the good fortune to spend the month of January 2015 in Pune, India at the Iyengar Institute known as RIMYI -the Ramamani Iyengar Memorial Yoga Institute. Before going I had the notion that I would have so much time and would spend my days reading, trying to fill the hours of the day, and writing blog posts. Well, I did not write one blog post. I read only three chapters of a book, and the days were so full, they whizzed by way too quickly. The reasons that I didn’t write are two fold. 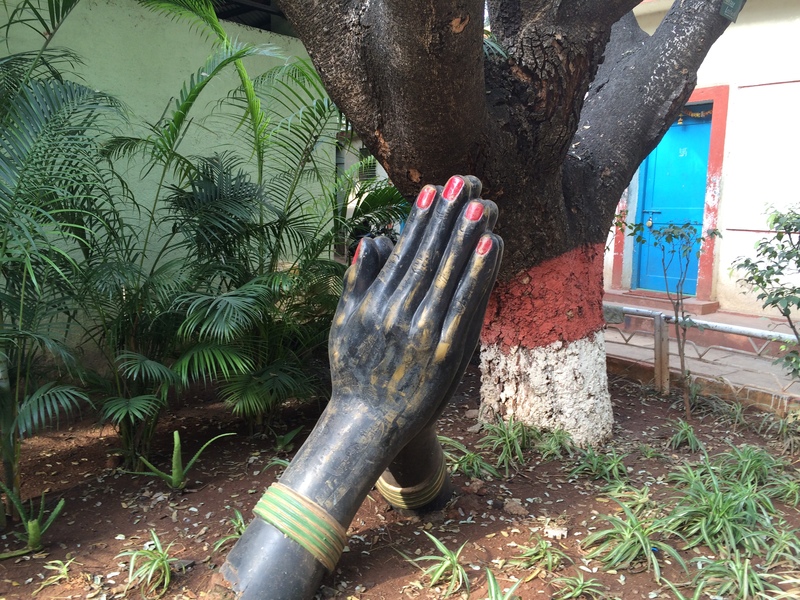 One, I left my computer at home which gave me such a great opportunity to retreat from social media, and secondly a fellow yogini at the Institute was writing a blog, and her posts were so wonderful that I lost incentive to try to capture what she has captured so wittily and astutely. That said, I have been home a couple weeks and have been reflecting on what the experience was for me. Well, it was amazing. Incredible to go to the other side of the world and feel so at home. Fabulous to be in a warm, sunny place and rent an apartment for $400/month and eat a paneer paratha and sag paneer for $2. Stupendous to practice yoga with dedicated students and teachers from all around the world. 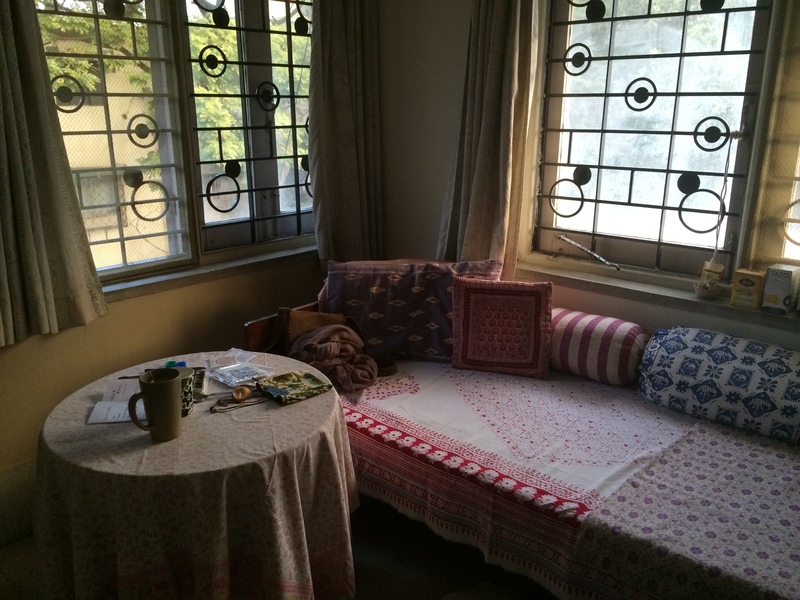 Perhaps it is a mid-life thing, or just the state of my personal life, but I was so happy to have a simple room with four walls around me with time to practice and reflect. And there was a lot of opportunity for practice. Each day, we had a two hour long class, a three hour personal practice session, and were also able to observe a two hour medical class as well as observe other studio classes taught by other teachers. With regards to daily practice, it was informative and inspiring to be amongst a sea of experienced practitioners -Russians, Italians, French, South African, Argentinian, Australian yogis executing so many variations of postures with such thoughtful sequencing! I hate to admit that I was spying, but how can one resisit observing Lois Steinberg practicing a sequence to get into Kapotasana? And not just getting there, but how to recover afterwards? In fact one of my biggest asana insights came from Lois during our self practice session while I was working towards a different deep backbend pose -Eka Pada Rajakapotasana. She not only gave me feedback in the pose, but made some suggestions for a particular pose to follow that would bring more breadth into my lumbar area after practicing the posture. I remain grateful to her as I integrated her wisdom over the month -finding balance, finding awareness, finding space. Well, that said, I admit to being busy and distracted while in the practice hall, and often opted to do my daily practice on the terrace of my apartment with the flocks of birds and the canopy of trees and the wild pigs in the stream bed below. 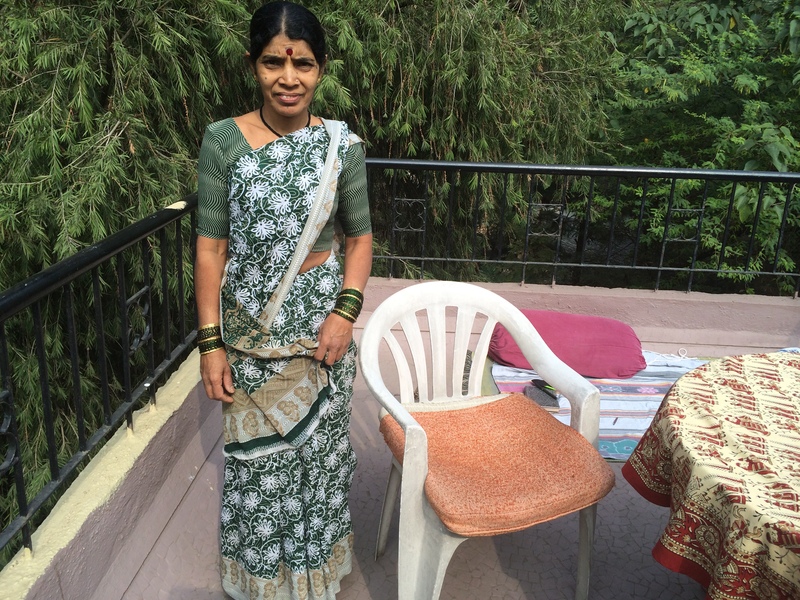 While Sumon, the housekeeper in her gorgeous sari, did her chores I was well aware of my privilege to focus on practice, to not vacuum and shovel snow, to not drive continuously around a city, and to not use my body in a way that often results in fatigue and injury. In the Toronto yoga community, many practitioners have been speaking up about yoga and injury. I have to admit I was concerned what it would be like to study at the Institute. I had heard rumours of 10 minute headstands and shoulderstand with out support. What would it be like? 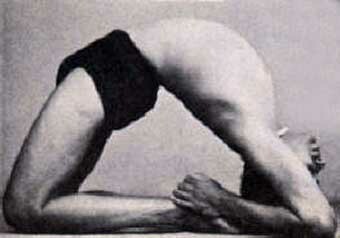 Am I the only one who would rather do rope Sirasana than stand on my head? For the first week I was so relieved that I was able to hang on the ropes whenever I felt it was best. I was able to practice consistently and quietly. And most importantly, I had the opportunity to ponder, to slow down, to REALLY listen to my body and it’s niggles and complaints, and not stress it out with housework and bad habits. As we moved through weekely rotation of postures, I began to feel better than I have felt in years. I feel the most important part of the trip for me was this listening. Like hearing a whisper of something said thousands of years ago. In fact, the long spacious sessions of yoga became the easy part -walk down the street, go to class, try to capture the sublimity, piety, sanctity, purity, and transcedancy of Prashants mind boggling wisdom. The hard part was figuring out how to interface the experience in such a way as to not return to the old samskaras, the old grooves, the unskillful habits. Who was I before these patterns? What layers of contraction, self criticism, judgement and ignorance have I stored in my body and what do I need to dismantle? Mid way through the month, I wrote in my journal, “I feel like I am becoming who I have always been but forgot”. So, how do I remember now, and again and again? I still don’t know the answer, but I ended my trip to India with something that turned that whisper of listening into a roar of silence. The Monday before I was to fly home happened to be Independance Day, and we had two days off. 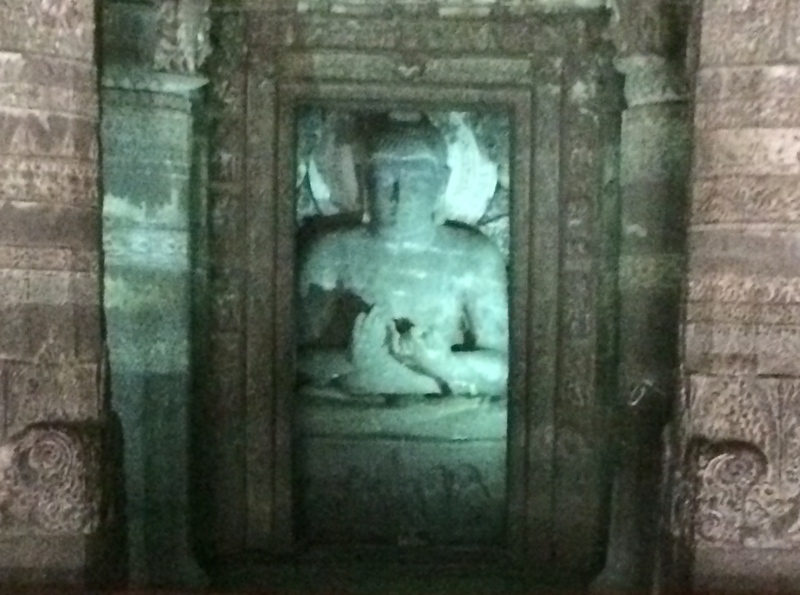 It was the perfect opportunity to go to the ancient cave temples at Ajanta and Ellora. 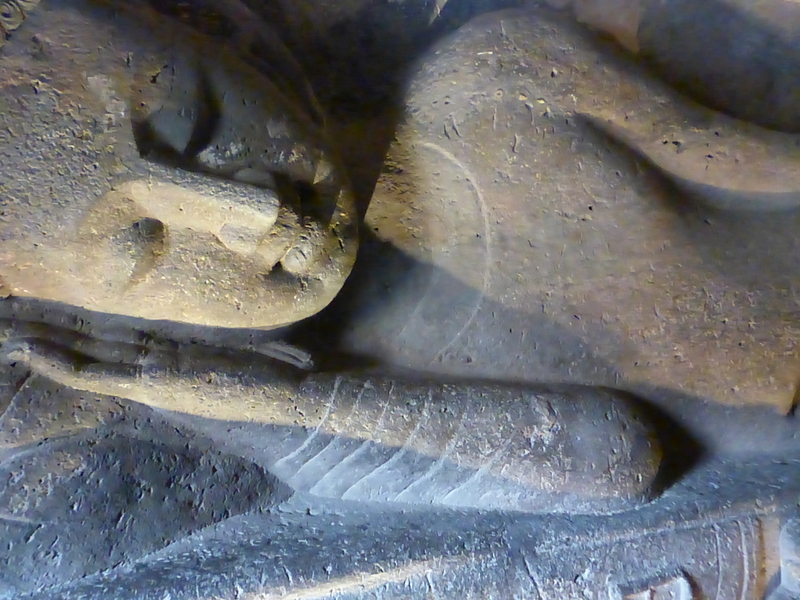 The 28 caves of Ajanta are Buddhist and date from 200 BC to 650 AD. This world heritage site is tucked in a remote river valley northeast of Mumbai. 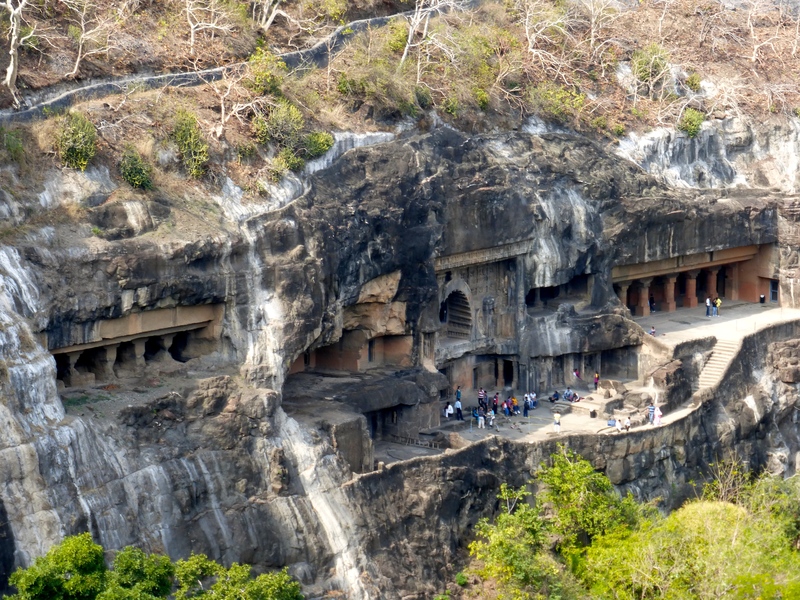 Ellora, a few hours away, is a larger complex of cave temples as well as massive structures carved out of rock faces. 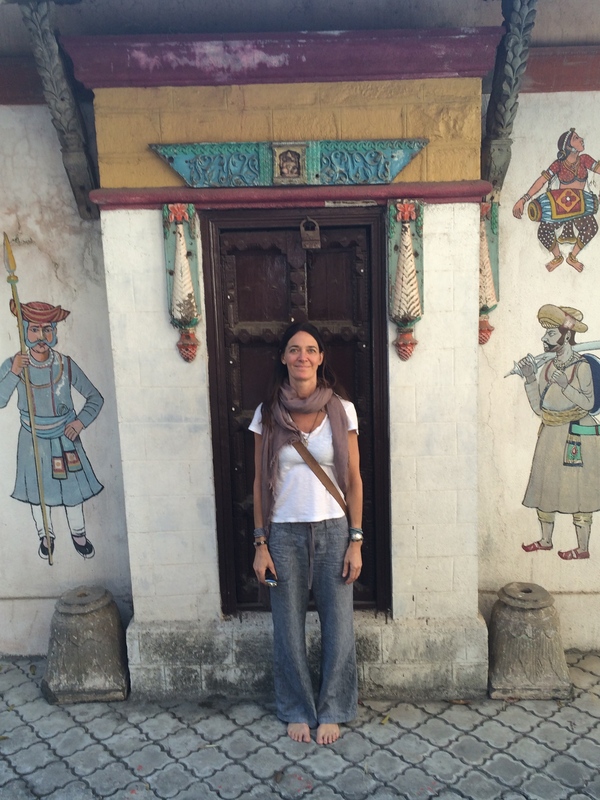 These temples and monasteries date from 600 – 1000AD and are Buddhist, Hindu and Jain. I have heard people talk of them, but nothing prepared me for the power of this pilgrimage. Perhaps it is in my history of pilgrimage from when I was in my early twenties traveling in Nepal and Tibet and India thirty years ago. Perhaps it is in my genes, as my father is a scholar of early Christianity and spent a good chunk of his life amongst archeological sites two millenium old. Perhaps it was just the place for me to sit in silence, to slow, to relax, to accept, to soothe, to know, to heal. 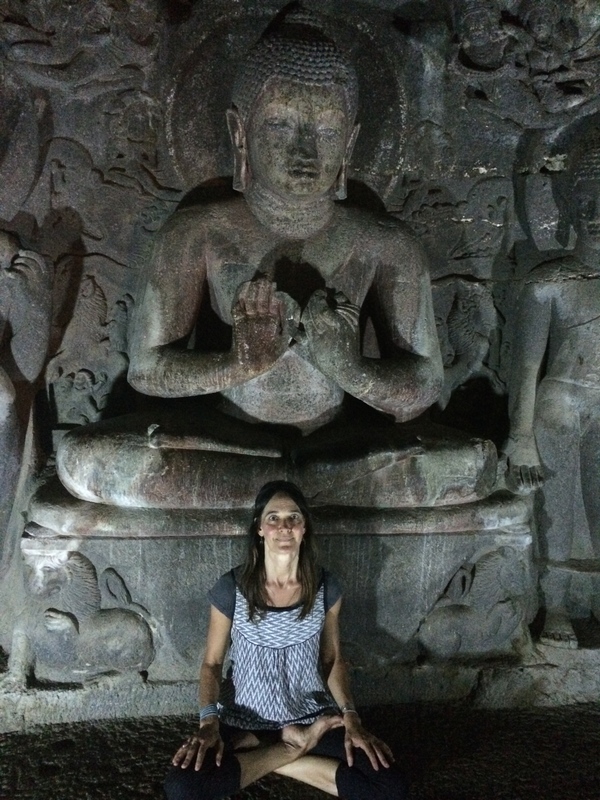 But whatever the reason, the caves at Ajanta made me feel connected to life, to our history as human beings, our potential to awaken, to endure, to continually be present. Cave after cave, I wandered, imagining a life of dedicated practice, a life of living simply in a stone room, a life sitting and of DEEPLY listening -to sit through everything, to sit through all time. Isn’t that the truth, that every now and then “you are having this unbelievable life experience, but you feel like crap and your whole being is pushed to the edge!” LOL. Thank you for sharing your thoughts, your music and your wonderful photos too. The Canadian wilderness – wow..speechless! It was great to meet you in Pune and I hope to see you again one day. Australia isn’t so far away…;). Although, seriously, if you ever come down this way I’d love to go on a hiking/canoeing + yoga trip. I know some gorgeous, remote places. By the way, don’t book a trip Jan-March. Here in Adelaide today we’re suffering through our 4th consecutive day over 40C! Eek. And thanks for the mention too Susan.